"A Kanawha County Hero and His Impact on American Military History"
Norman B. Edwards was born in 1911 in Quincy, West Virginia. He grew up in a coalmining town to a relatively poor family. His family lived in a town that was owned and operated by the Quincy Coal Company. However, his father, Norman Alamander Edwards, worked for the New York Central Railroad. In his early years, while his mother was expecting another of his siblings, he was sent to his grandparents farm near Leon, Mason County, West Virginia. There he learned much about farming, nature, God and chewing tobacco. He attended school in both Mason and Kanawha Counties. During his junior and senior years, Norman attended Cabin Creek District High School at East Bank, West Virginia. To get to school, Norman had to ride a train five miles to Cedar Grove, walk a half mile, catch a row boat ferry across the Kanawha River, then walk another half mile to get to school. Then do this in reverse to get back home after school. This left very little time for social or extra-curricular activities. In 1926, Norman's father secured a job for him as a weighmaster at the railroad when he was about to enter his final year of high school. It was a relatively high paying job for a man that hadn't worked into it. At the age of sixteen, Norman graduated from high school, the youngest in his class. His father wanted him to continue working at the railroad after high school to help with the family. But Norman wanted to go to college, and his mother supported him on that issue. 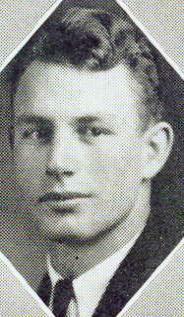 In 1928, Norman entered New River State College (West Virginia University-Tech). This is where Norman grew a passion for the game of football. He tried out for the team and lettered all three of his years there. In 1959, West Virginia Tech's Athletic Alumni Association, named Norman to it's Athletic Hall of Fame, only the third person to receive the recognition at that time. 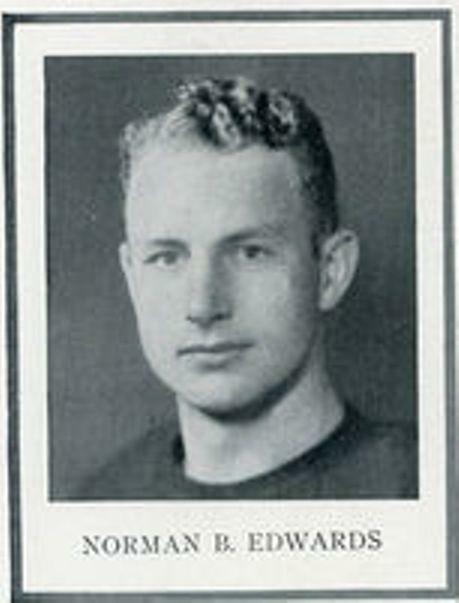 Another sports accolade, was when local sports writers named him as one of West Virginia's Athletes of the Half-Century. The year before Norman entered college, he attended Citizens Military Training Camp at Fort Thomas, Kentucky. He continued to attend these camps throughout the summers of his college years. When a cadet had completed four years of camp, then he was eligible to receive a commission in the Reserve Officer's Training Corps. It was at this time, that Norman became interested in entering the United States Military Academy at West Point, New York. On July 3, 1931, Norman was accepted to West Point. Norman did average in class, but excelled in football. He played for three years at end. He lettered all three years he played. After his senior year, he was named an Honorable Mention All-American. 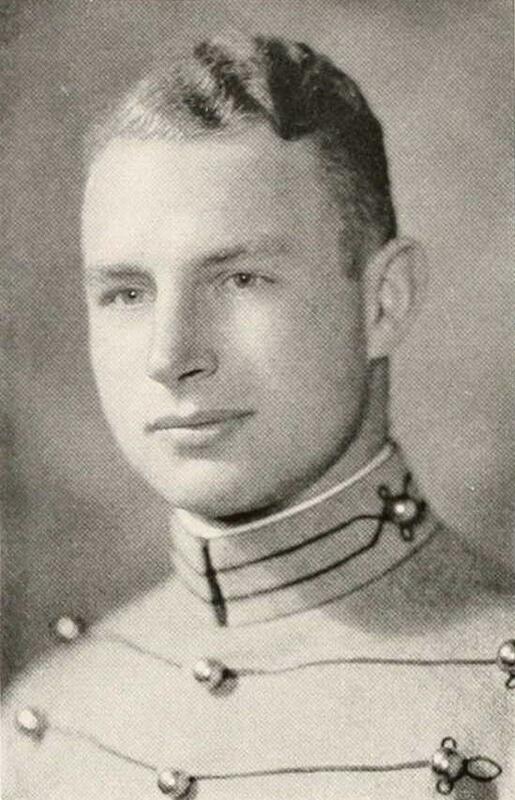 Norman graduated from the USMA on June 11, 1935. He was immediately commissioned as a Second Lieutenant and assigned to the 18th Infantry at Fort Hamilton, New York on Long Island. While Norman was stationed there, he received approval to play professional football. He played for Brooklyn, which went on to become the Chicago Cardinals, then St. Louis and then Arizona. He was paid $100 per game... much more than his pay from the Army. In 1937, Norman led a squad of soldiers to Lakehurst, New Jersey to assist in the handling and landing of the Hindenburg during it's maiden voyage. He was not injured in the catastrophe. Later that year, he was assigned to the HQ, Special Troops, Hawaiian Division at Honolulu, Hawaii. He was present at the airstrip when Amelia Earhart was to arrive. She never showed. in 1938, Norman was promoted to First Lieutenant and was ordered to Fort Benning, Georgia to attend Infantry Training School. After graduation, he remained at Fort Benning until 1941, when he was promoted to Captain. He then entered Armored Training School there. Later, in 1941, he was assigned to a new post at Pine Camp, New York. 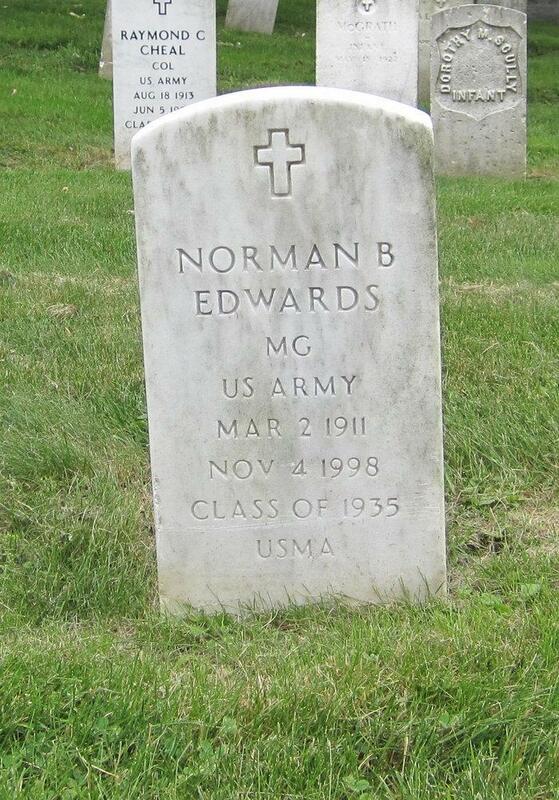 In 1942, Norman was ordered to attend Command and General Staff College at Fort Leavenworth, Kansas. After graduation, he was promoted to Major and ordered to Headquarters, European Forces, in London, England. He had become a specialist in logistics. He realized that due to a supply and logistics issues, an immediate invasion of France was not possible. The focus switched to North Africa (operation code name "Torch"). He became highly involved in the planning and for his recommendations of invasion sites. His idea of a three-headed invasion, instead of a single location, earned him the Legion of Merit. In 1943, Norman was assigned to Fort Knox, Kentucky to work with the armored forces. It was at this time that he was promoted to Lieutenant Colonel. He attended Tank Battalion Commanders School while stationed. After graduation, he was ordered back to Fort Benning, Georgia to lead a Battalion of the 7th Armored Division, of Patton's Third Army Corps. In May 1944, The Third Army Corps was transported to the west coast of France to enter the war. Norman's units were an integral part of liberating the Army units who were in Metz. They had been cut off from the rest of the allied front, when the Germans made a large December push (Battle of the Bulge). The Third Army Corps then made a huge push towards the Rhine River. The Americans realized that the bridge at Remagen was still standing. The Americans made there way to the bridge and took it from the Germans. The bridge was being constantly bombarded by the Germans, which led to a jam of men, vehicles and equipment on the west side of the Rhine. While a heavy artillery bombardment was taking place, as well as Luftwaffe aircraft bombings, Norman ran onto the west side of the bridge and started directing traffic and encouraging the men to go across. "Don't let the artillery fire stop you. It's safer on the other side", is what he yelled out. Norman was awarded the Silver Star for gallantry during combat. After VE day, Norman was assigned to post war occupation and the Berlin Airlift operations. 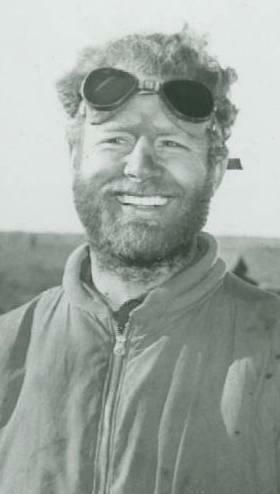 In 1946, Norman was named to lead an American contingency of military units, scientists, climatologists, biologists, botanists, engineers and mechanics on a mission with British and Canadian personnel. They were to study the affects of severe and extreme weather conditions north of the Arctic Circle on a military operation. This action was known as "Exercise Musk Ox". The reason for the mission... find out what would happend to a military force, if a defense of the North American continent was needed, due to an invasion by Soviet forces, via the Arctic ice cap. He died November 11, 1998, in Claremont, California. He was laid to rest with full military honors at Post Cemetery, West Point, New York.